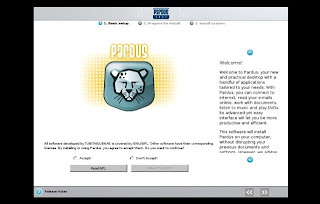 Pardus (scientific name for Anatolian leopard) is a Turkish Linux distribution started and developed by the Scientific & Technological Research Council of Turkey (TÜBİTAK). Ensuring that it is an operating system which can be installed and used more easily than the existing distros as well as other competitive operating systems is one of Pardus' main goals. I've heard plenty of good things about Pardus that I gave it a try the other week. It is currently listed among the top 100 distros in Distrowatch. 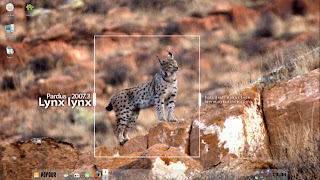 The recent version of Pardus is codenamed "Lynx lynx". By the way, Pardus Linux comes in two flavors. There's the installation CD called "Kurulan" and the live CD named "Calisan". 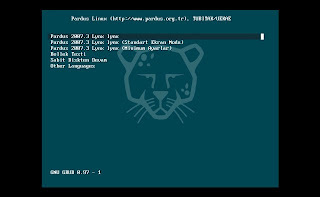 I decided to get Pardus Linux 2007.3 "Kurulan". The download page can be found HERE. 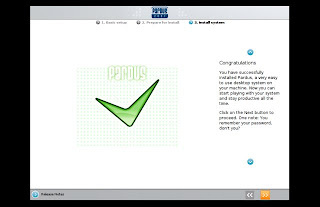 I tested Pardus 2007.3 in VMWare Server using the minimum RAM requirement of 256MB, with 8GB storage, and utilized only a single CPU of my Pentium 4, 3.4 GHz dual core processor. Once the Pardus ISO was fired up, the first thing that I did was select a language to use. It was followed by the usual boot options menu. I started normally without having to add any boot parameters. The formal installation process began with accepting the GNU/GPL license, and then checking the integrity of the CD, the keyboard setup, the root and user accounts setup, the partitioning, the boot loader setup, and finally the copying of system files and applications. It took about 20 minutes to completely finish the setup. The whole installation process is very straightforward that I think even a Linux newbie can handle it. I'm impressed with the user-friendly and professional-looking installer despite the fact that it is home cooked only by Pardus developers. They call it “YALI” and I now consider it as one of the best and most polished operating system installer that I've ever used. 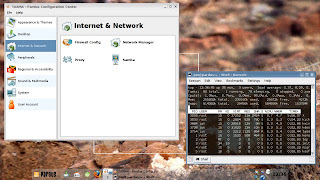 Another unique feature about Pardus is that after you have logged in for the first time, an application named “Kaptan Desktop” will appear and will serve as your guide in configuring the desktop look and the internet connection among others. For the desktop style, I chose "transparent" and enabled the "enhanced Kickoff style menu" to fully test how well my hardware will handle the extra eye-candy. 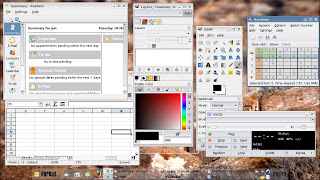 The default desktop manager is KDE which makes Pardus even more ideal for new-to-Linux users. I think the default artwork needs a little improvement to really stand out. Though, one thing I find gorgeous were the default icon sets. Anyway, as with every other distro with a KDE Desktop, you can customize the overall look of Pardus as far as your imagination can take you. Pardus Linux 2007.3 is packed with enough goodies to satisfy the needs of all types of desktop users. Some of the most valuable applications that were installed by default are: Firefox (web browser), Ktorrent (BitTorrent Client), Kopete (Instant Messenger), OpenOffice.org (Office Suite), Gimp (Image Editor), Amarok ( Audio Player), MPlayer (Multimedia Player), Python (Programming Language) and plenty more. Flash and other important multimedia codecs were also included out-of-the-box. 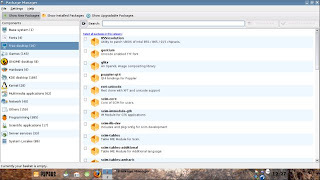 You can use the Synaptic-like package manager called PiSi to download, install, update and remove packages. The GUI for PiSi is actually very easy to use and I must say that it is yet another user-friendly application specially made for Pardus. Pardus detected my important VM hardware like USB, audio, Ethernet, and CDROM without a hitch. I also had no trouble configuring my screen resolution. The only slight problem I had was when some of the heavy applications were too slow to open. Anyway, the low RAM and at the same time running in virtual environment can affect the speed and responsiveness, so I don't consider it that much of an issue. Talking about speed, Pardus really booted or started up fast. Thanks to Mudur, a start-up framework written in Python that speeds up the boot process. Another great feature of Pardus is its very own Control Center called TASMA. It will let you easily tweak the default system configuration settings to suit your needs and your hardware. I think the overall stability of Pardus 2007.3 is excellent enough that it can be relied on for productive purposes without having to worry about future major breakdowns. I've tried so many distros already and only few have left a lasting impression on me. 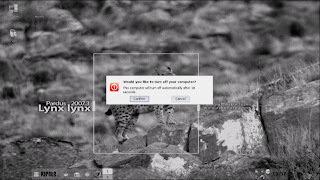 Pardus Linux is now one of the very few. I just love almost every vital part of it. The system installer, the package manager, and the control center among others are all wonderfully crafted. I can tell that the developers took their time to really buff up this distro. I’m sorry to say though that Pardus is still pretty much underrated, because many distros are far more popular but are not as good as Pardus. Anyway, I’m so glad that I’ve tried Pardus, and I would highly recommend it to just about anyone who is still searching for a fully featured, easy-to-use, and quality Linux distro. Great review jun. I'm currently using Pardus and also enjoyed its fast start-up. Its excellent stability is also worth mentioning. BTW, I'm happy to know that you already got your own domain name for this wonderful site. Thanks for a great review. Nice to see that someone takes time to review something other than the top 10 distros. I used Pardus for about 3 month and I was quite happy with the performance. I'm a newbie but didn't had any problems at all. It was like a dream. The only annoying thing was the strange waves on my screen. I just couldn't fix it. I'm using a really LOW-end PC with only 850 MHz Celeron CPU, 512 Mb RAM and it works without any problem. I'm thinking going back to Pardus. I'd recommend it to everyone who's after a great distro. Nice comments on PARDUS. I have been using Pardus since v 2007.1 and have simply loved it. It is not that i don't try other distributions, but i invariably keep going back to pardus. Above all it is very stable. It is really sad that such a good distro is languishing so low in the rankings. It is much better than many of the so called top distros. Thanks for the comments. I'm glad that we feel the same way about Pardus. Many people have yet to discover this distro. But, I know time will come that Pardus will really go mainstream. I have tried many, many different distros. I agree there are several distros that just don't get the "press" they deserve. Will be trying this one! I am a complete newbie to Linux from MS and I've tried all the top distros over the last 3 months to finally settle on Pardus because it is solid, beautiful and, more importantly it plays all multimedia from install and it configured different wireless cards (over 3 computers) fautlessly. Not even Ubuntu was that good. If Pardus have its own packet manager, does it have itw own format of packet? If so, does it provides tools to use other formats like .deb or .rpm? I shall try it on my eeePC and tell a relative to use it on a Packar Bell laptop which is not very well handed by ubuntu 7.04 (no wifi, no webcam). 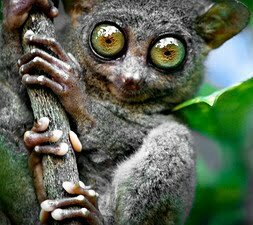 Pardus has the PiSi package management system. The files are .pisi files and there are not many on the net, only in the Pardus repositories. You can use a tool from Slackware called rpm2targz to convert an rpm package to a standard compressed tarball so you can extract the contents to your / folder and the package is installed. (But not able to uninstall) You can get this tool from the Pardus repositories. PARDUS is in fact THE REAL CHOICE of FREEDOM !!! !